I started twisting balloons for my oldest daughter in 1999. Little did I know how much fun it would be to make balloon sculptures and all the great places, companies and people I would meet along the way?! I started constructing balloon sculptures made with just one balloon, and progressed to a pirate ship that was 20 feet long, 6 feet wide and 10 feet tall, made from over 3000 balloons, which traveled down the street! I have won awards for the balloon sculptures I created; been in magazines; and won Entertainer of the Year for the Triangle for five consecutive years. I can twist balloons for birthday parties, elementary schools, churches, trade shows, and many other types of events. With the right amount time, imagination, and balloons, there is nothing that cannot be replicated! Balloons to a twister are like paint to an artist as the bends of the balloons are like the stroke of the brush. I am well-known for my balloon sculptures, but I also enjoy the art of magic – close-up and on stage. My style of magic is slapstick comedy combined with a lot of interaction with the audience. There is nothing that lifts my spirits more than to see the faces of the kids and the adults when I perform a magic routine that makes them laugh or puts a smile on their faces. What I find really amusing is how the adults are just as entertained as the kids! I find that no matter how old you are, there is a kid in you that loves to be entertained with balloons and magic. 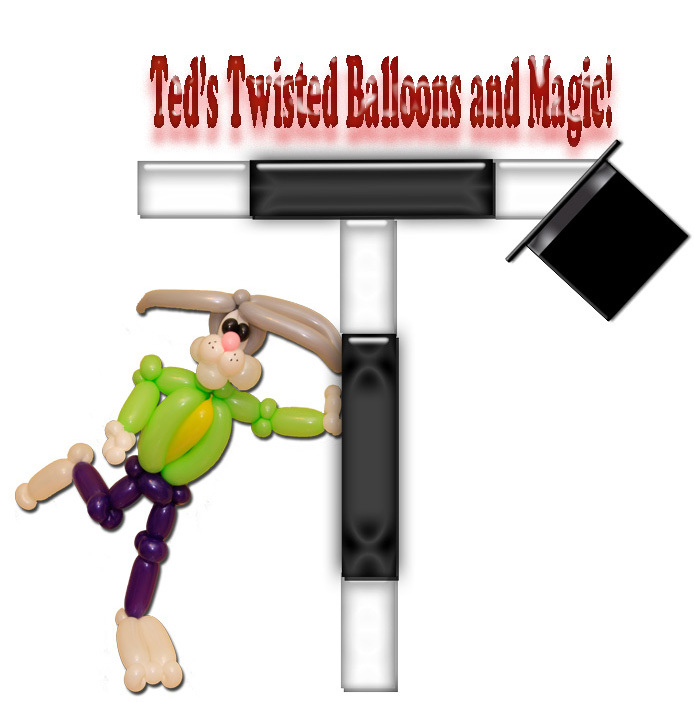 If you are looking for something unique in the Triangle area when it comes to balloons and magic, Ted’s Twisted Balloons and Magic cannot be compared to any other company. I had two great men in my life: my dad and my best friend's dad. Both of them worked hard and lived life to the fullest. Their families came first above all. I try to live up to their standards every day of my life. I just hope that I would make them proud of the man that I am today.